With the DF11 Megapack 2019 and updatesfully up-to-date, we’d like to promote a download which extends on the massive facepack and provides you with faces of players and staff for all tabs, screens and drop down menus. 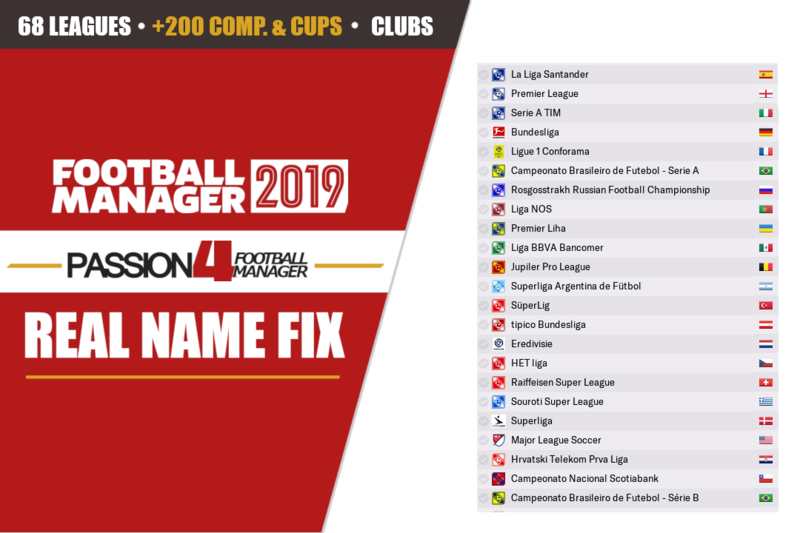 The DF11 Icons Megapack 2019 is a lightweight download that lets you play Football Manager in full DF11 style. The Icons Megapack features the same faces as the original DF11 Megapack, but instead comes in a smaller ‘icon’ size. Get the full DF11 Football Manager experience! Download the Icons Megapack 2019 by DF11 Faces. By downloading the DF11 Icons Megapack 2019 you’ll be able to extend on the massive DF11 facepack by adding over 119,823 smaller icons. Most of these icons are simply smaller generated player portraits of the images featured in the default DF11 Megapack, which means that you get player faces for all the leagues as displayed in the overview of nations and leagues. With an icon size of 15×18 pixels these icons will be used for small action menus. These action menus will appear whenever you right click on a player’s name either on the squad list or other list views, such as player search or scouting cards (list view). This massive megapack of player icons by DF11 Faces will be updated for your convenience every month so you’ll get the newest icon faces for a better Football Manager experience. It’s really lightweight, quick to download and import, and is an essential download for any graphics savvy Football Manager fans and works brilliantly with the DF11 Faces Megapack. Once downloading, the Icons Megapack will be ready within minutes so you can enjoy it in the game. A massive facepack of 119,823 staff and player icons made in 15×18 pixels that works along the DF11 Faces Megapack and updates. Download the Icon Megapack. Use a tool such as 7-zip, or WinRar for Windows to extract its contents. Mac users need The Unarchiver in order to extract the content. NOTE! Create the folder ‘graphics‘ if it doesn’t exist. Click the ‘Clear Cache’ button 1x. Untick the following line: Use caching to decrease page loading times. Enable / Tick: ‘Reload skin when confirming changes in Preferences’. Once this is done, you’re now able to enjoy the Icons in Football Manager. If you should need any assistance or more help to download the megapack, please follow the download instructions from the original source. The DF11 Icons Megapack is an exclusive download created by the DF11 Faces team. A huge thanks to NecJeff for giving us permission to share the download as the first partner and promote this excellent graphical add-on that improves the user-interface, to our Football Manager community. Thanks to all creators and contributors who’ve made this file possible. We hope you will enjoy the effort and hard work DF11 Facepacks have put in to distribute these player faces. If you have any particular suggestions or requests of player photos to feature in a future update, please contact DF11 at their official Facebook page or request a face here.